Loy Kratong is behind the corner, lights of candles and perfumes of incense will fulfill the night of the next 25th of November. Baitongs (lotus shaped artifacts realized mostly with banana leaves and decorated with flowers, candles and incense sticks) of the most various colors and shapes will calmly float on the rivers to ask forgiveness to Mae Kon Ka (the spirit of the river) for all the evil actions committed by human beings against her. 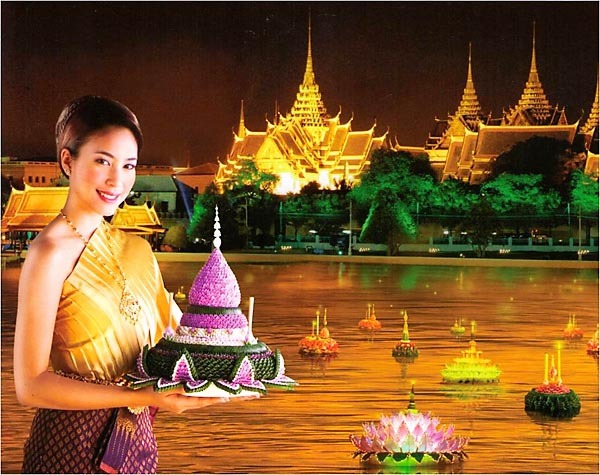 A tradition lost in time, that legends tribute to “Nang Nophamat”, a lady of the court of King Phra Ruang (Ayuttaya period), who almost 700 years ago, first, introduced a lotus shaped baitong for the enjoyment of his Majesty. And to commemorate this extraordinary historic Thai lady, nowadays, in almost every city of Thailand, during Loy Kratong festival, young Thai girls will dress up in traditional clothes and use traditional make up and hair style to compete for the title of “miss Nang Nophamat”. The winner will have the honor of carrying the first baitong of the city in parade and float it on the river. 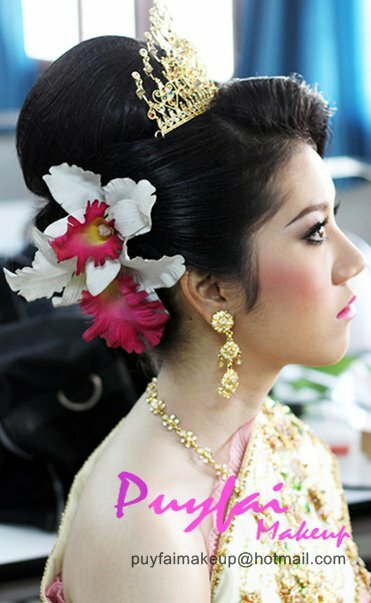 Thainarak.net presents to you a gallery of some of the most exquisite and colorful hair-styles from miss Nang Nophamat beauty pageants contest of the last years.